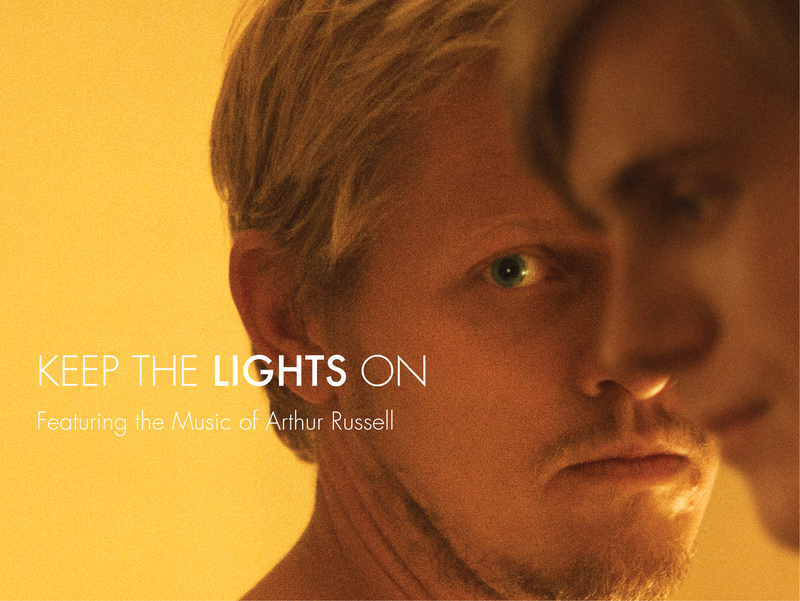 The soundtrack for Keep The Lights On is out now in association with Audika Records and available for purchase on iTunes today. The album, which received a write up on Pitchfork, is composed entirely of music from the iconic New York musician Arthur Russell. New York City has been home to some of the most important names and movements in the history of American music. From the whiskey soaked compositions of Stephen Foster to the fast-paced/short-lived bouts of noise of the No Wave scene, New York has produced countless musicians who have left their incredibly influential and indubitably permanent mark on music. But for every musician or band that made their mark, there innumerable others who spent their lives devoted to writing and producing music in New York without their name or work garnering them attention or praise. Arthur Russell narrowly avoided this all-too-common fate. Russell had an incredibly prolific career in which he jumped from genre to genre and collaborated with some of the premier names of New York scene including David Byrne, Allen Ginsberg and countless others. Although far from a household name, Russell has grown in popularity in the years since his untimely death in 1992. Thanks in part to a compelling and insightful documentary by filmmaker Matt Wolf entitled Wild Combination, as well as releases of previously unreleased or hard to find material, recognition of Russell’s contribution to the New York music scene has grown considerably in recent years. But still Russell and his genre defying oeuvre are enigmatic. What is clear, however, is Russell’s sincerity and level of personal investment he brought to each song and that is something that, whether or not it is recognized, can never fade. Close My Eyes is a John Hammond-produced track that vividly portrays Russell’s affinity for simple, folk-based music. Perhaps surprisingly for Russell, the song is played fairly straight forward. He exhibits his ability to work within the confines of a specific genre and to make it his own through his evocative lyrics and unmistakable voice. A slow, sparse piece from World of Echo that places the listener in a trance like state. Russell creates a longing and haunting soundscape through slightly dissonant cello drones and his own form of unique percussion as he delicately recites seemingly stream of consciousness bits of lyrics that both disorient and mollify. It is revealing and open; serene yet ghostly. A long forgotten and previously unreleased track until very recently, Come to Life offers a playfully quaint duet between Russell and a hushed female vocalist. Reminiscent of a television theme song from the era from which it was written, the song seems overtly jovial and light hearted — almost to the point of being disorienting for someone who might be acquainted with a different side of Russell’s music. But this possible sense of confusion is inherently part of Russell’s body of work – he defied categorization and seamlessly jumped from one genre to another on a whim, regardless of whether or not his listeners were ready to follow. The upbeat rhythm on this track makes Russell’s collaborative relationship to David Byrne and the Talking Heads more easily understandable. There is a unique pacing to the song reminiscent of rhythms found on the Brian Eno produced Talking Heads record Remain in Light. The rhythm of this song is very dynamic and intrinsically suggests the very motion Russell speaks of. Russell dismembers the subject of the song by reducing him or her to specific body parts. This, coupled with lyrics of dependency and themes of self-effacement – “I am just another guy” – offer an interesting juxtaposition of music to lyrics. This song represents a measurable shift in feel from Russell’s other work, even from his previous instrumental pieces. Here, Russell has moved far away from percussion and migrated towards an expansive soundscape of droning horns and slow, overlapping pulses that create a far more austere composition. A more psychedelic track than that of its peers, Being It incorporates a higher level of gain on Russell’s cello that gives the song a warm and overdriven saturation that fills up the space of the mix and helps to further envelop the listener. This song also incorporates audio effects such as delay on Russell’s vocals and cello which also deepens the overall landscape of the piece. The piece abandons its arrangement towards its conclusion as Russell’s cello becomes more sporadic than lush and Russell’s vocals give way to experimentation with the delay effect. What starts out as a seemingly minimal composition of strings eventually gives way to Russell’s incredibly unique interpretation of the classic cowboy song. The two halves merge into a cacophonic yet reserved amalgamation of old west and avant-garde/minimalist tendencies. Russell creates a melancholic atmosphere of strings that abruptly gives way to his acoustic guitar and voice as he performs the classic old-west song. The strings then creep back in and at first seem harshly dissonant and even hard to listen to but as the song progresses Russell seems to strike a balance between both its orchestral beginning and its folk based counterpart. By the end, there is a sense of harmony and amiable interaction between the two sections of this highly imaginative and original whole. A vivid portrayal of the innumerable sounds Russell was capable of creating, I Like You! showcases his instinct for exploration and his extraordinary ability for mixing aspects of different genres together in order to create something wholly original. The highly repetitive drum beat serves as the backbone on which various electronic pulses of noise and heavily distorted, or as some music critics have described it, “serrated” melodies (which abruptly enter and leave the mix) are built upon. The song, although based upon the repetitive beat, pushes and pulls by this abrupt switch between rounded and lush sounds and the aggressive bouts of noise that seem to call to mind the similar balance of melody and aggression from guitarists like Nels Cline and Thurston Moore. A mystifying and highly original composition that seems to resemble the drones of Soon To Be Innocent Fun. But unlike the aforementioned song, this piece is far less percussive and, in a way, has even less direction. Russell vocals are far more pronounced and he repeats over and over again how this is “our last night together” and even though the song may have been directed towards someone in particular in Russell’s life, it is hard to imagine Russell is not speaking directly with the listener and perhaps commenting on the disconnect between himself and his audience. Whatever the narrative may be, it is trumped by the emotional response it incites in its audience. All have dealt with loss and separation in their own way and this song seems to reflect on the bittersweet theme of nostalgia as two individuals grow apart. Daniel Quinn is a filmmaker, musician and painter. He studied at Fordham University Lincoln Center. As well as earning departmental honors, he graduated with a B.A. in Visual Arts. His video installation, “Eat the Moon,” earned him the University's Susan Lipani award for exemplary work in the Visual Arts. Quinn is a founding member of the New York City-based, alternative-rock band Cosmonaut. The band is featured alongside such artists as Yoko Ono, Patti Smith, Yo La Tengo, et al., on the recently released Occupy This Album. Quinn has composed scores for several films and completed a score for “In Search of Avery Willard,” a documentary film directed by Cary Kehayan and produced by Ira Sachs. A native New Yorker, Quinn currently resides in Greenpoint, Brooklyn.